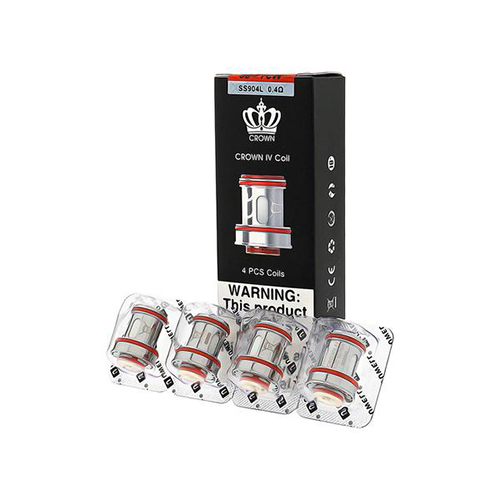 The Uwell Crown 4 SS904 Replacement Coils come with a thread-less plug and play design and high quality superior Stainless Steel heating elements for a smooth vape. As pre-installed in the Uwell Crown 4 Sub-Ohm Tank, is the SS904L 0.4 ohm Dual Coil rated for use between 60-70W. * Includes free Nic Shots. In some instances the free Nic Shots supplied may be substituted for brands other than Lucemill, but will always be the same in size, strength and base ratio.